James Harden was hailed by Houston Rockets GM Daryl Morey following his triple-double game-winning display on Thursday. 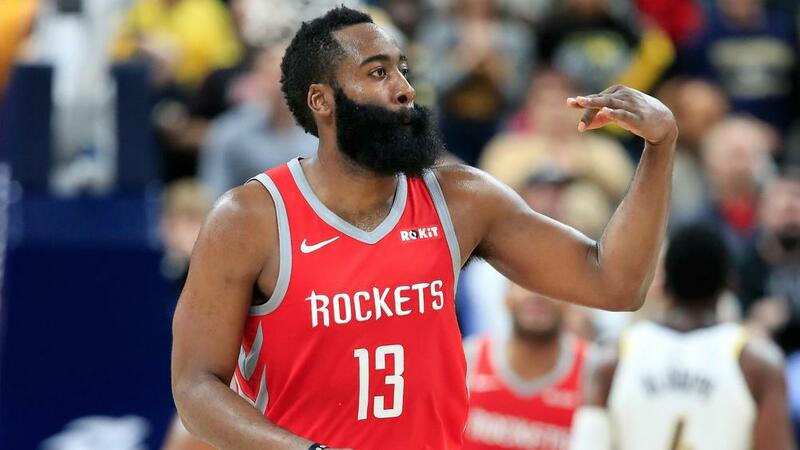 Houston Rockets general manager Daryl Morey said there is an argument for superstar James Harden to be labelled the best offensive player of all time in the NBA. The 2018 MVP – who had 44 points, 15 assists and 10 rebounds – recorded his fifth successive 40-point game and hit a game-winning three-pointer with just a second remaining in OT at Oracle Arena. "You could argue for him as the best offensive player of all time," Morey told ESPN following Houston's win over their Western Conference rivals. "To be able to say that with a straight face, and not have it be GM speak or coachspeak, is pretty amazing. "There's a whole bunch of ways to measure it, but he's for sure in the conversation as the greatest offensive player ever." "He's at a level that almost nobody in NBA history has been at," Morey added. "We're obviously focused on April and beyond, but it's special to watch right now." Harden is averaging 33.6 points, 8.6 assists, 5.9 rebounds and 2.1 steals for the resurgent Rockets this season.